Kidneys are our inbuilt filtration devices, characterised by the removal of waste and toxins from the blood. They are as well associated with the regulation of blood pressure, electrolyte balance and in the production of red blood cells. Sufficient data is collected to confirm the fact that many women are diagnosed with chronic kidney disorders, especially at a later part of their lives, due to various health-related complications. After Marriage: – Post marriage, many women tend to select steroidal contraceptives in order to plan their families and can be one of the common reasons for hormonal imbalance and kidney infections in women. Pregnancy: – During pregnancy, a woman has to go through a lot of hormonal turbulence. This release of hormone during labor relax the wall of the urinary tract as well as fallopian tubes; thus, allowing maximum reach of bacteria towards the kidneys. 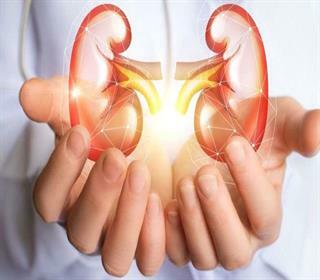 It should be noted that the kidney problems ignored during this critical phase of life can worsen over the period of time, leading to life-threatening complications. Menopause: – The phase is usually characterized by severe hormonal deficiency. Due to reduced hormonal secretion, the stage is associated with pH imbalance and decreased moisture content. This serves as a suitable microenvironment for viable bacterial growth. Stem cells are identified to be the cellular building blocks, which can be differentiated into multiple cell types when passed through proper signaling pathways. Found in multiple adult organs, like bone marrow and adipose tissues, these cells help to protect kidneys from external damages and internal injuries. Studies have indicated that these cells secrete different growth factors to aid faster kidney repair and support for accelerated functional improvement. The modern medicine and advanced technology have allowed easy introduction of stem cells and stem cell-secreted growth factors into patients own blood, allowing pro repair growth factors to reach directly to the kidneys.